Many network marketers use Facebook as a great mlm prospecting resource but when they reach out to someone they don't know what to say. In this blog I'm gonna give you for free some Facebook scripts that you can use to help you make a connection and build rapport. When you are prospecting on Facebook, you can simply separate yourself from the terrible marketers out there who just spam their profile page, fan page, Facebook groups, etc. I see this done on a daily basis and I can assure you that those networkers are getting little to no results. Think about it, if you see people on Facebook blasting their company everywhere, are you gonna go to their website? Exactly, so why would someone go to yours. By using these Facebook scripts I'm gonna share, you will actually start making a connection while mlm prospecting and keep in mind that this is a people business. People buy from who they know, like and trust. But there is a sequence you have to follow. Stop leading with your wallet and being a salesy and focus on building rapport. This Facebook cheat sheet helps you build your brand. If you are gonna be Facebook prospecting, then its important to find your target market first. 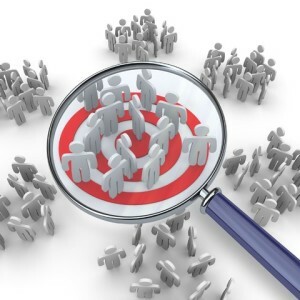 If you don't know who your target market is, this blog will help. A few places to search for your mlm prospects are Robert Kiyosaki, Eric Worre, Randy Gage, or people within your niche. These are perfect places to search for your prospects before you use these Facebook scripts. Do not send a friend request first, make sure that you send them a Facebook message first. When you have you perfect prospect in place, its time to start a conversation. Go to a personal profile first and do a lil research. Look to see how you relate to them in a way so you can make a connection. Here are a few Facebook scripts you can use to build rapport. I see you are in/from my hometown! Nice to connect with you, what do you do? Hey, love the picture of the dog, my friend has a the same dog! Good to connect with you, what do you do? I needed that! How are you doing? Would love to connect when you get a chance. Let me know when is a good for you. Saw that you were a “Eric Worre” fan and liked what you had to say, thought we’d connect on here. I’m a big fan of his, always good to connect with other like minded people and professionals, what do you do? Focus on building rapport and maintain your posture through the conversation. You wanna make sure that you send a few messages before you hit them with your business opportunity. There will be an opening, find it and that's when you can send them some information. Was those Facebook scripts helpful? Did it give you a better idea on how to initiate a conversation with your prospect? I hope so. If Facebook is where you are spending your time to build your business, you should check out this cheat sheet, to get more leads and sales on Facebook. 10 Stupid Simple Ways To Create Content….. FOREVER!! !